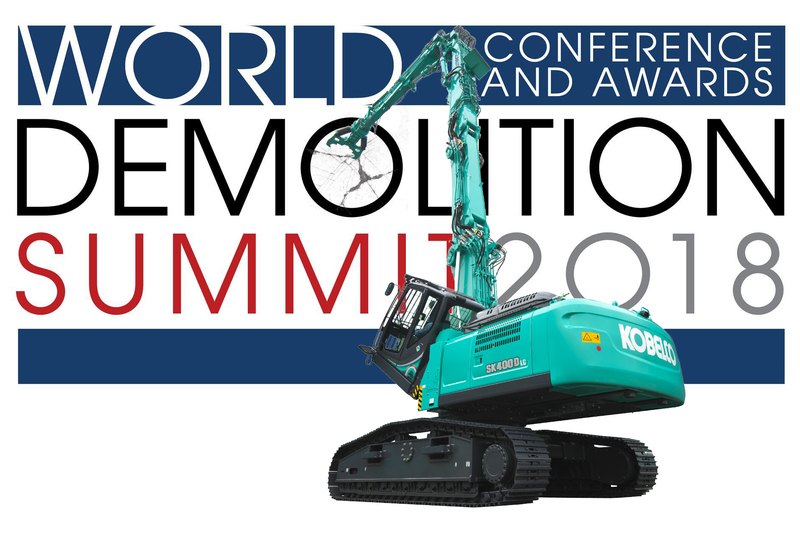 Kobelco attending World Demolition Summit as a Bronze Sponsor for the second time - Kobelco Construction Machinery Europe B.V.
After a successful event in November 2017, Kobelco Construction Machinery is again participating in the World Demolition Summit as a Bronze Sponsor. This year event will take place on 7 and 8 November in Dublin, Ireland. Kobelco will be promoting two demolition machines that are currently available on the European market: SK400D-LC and SK550D-LC. The key feature of the Kobelco demolition machine is the exclusive NEXT joint system, designed for quick assembly and ease of transport. The machines can be quickly set up and adapted to meet the job requirements and to be used for the full duration of the job. Due to the unique structure of the attachment, transportation is completely safe and with just a few steps. Enhanced safety functions like cab interference prevention system, stability warning system, tilting cab and system of cameras to mention just a few, together with the outstanding fuel consumption, make this machine very desirable equipment on the demolition market. The summit provides an unparalleled opportunity for companies to reach out to, network with and remain at the forefront of the demolition industry. The World Demolition Summit is organised by Demolition & Recycling International magazine in co-operation with the European Demolition Association.